Crackers are so easy to make at home! 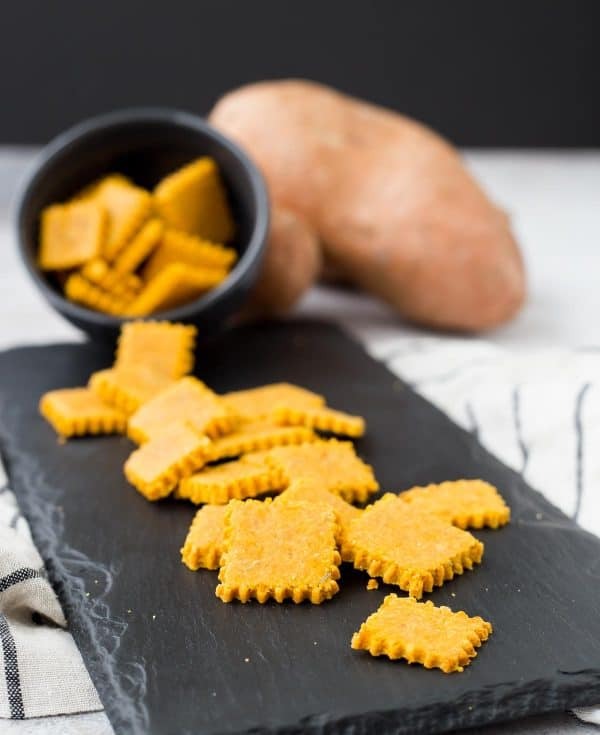 You will love the sweet and savory flavor of this gluten-free cracker recipe, and it’s great for kids too! You can even have them help roll out the crackers. With N’s allergies, crackers are especially hard. Sesame hides in many things, but crackers are a huge culprit. When I have the opportunity to make homemade, I’m definitely going to try it, because that’s the one way I know for certain that they are safe for him. When I first saw Megan Gilmore‘s new book, No Excuses Detox, I knew it was one I wanted to get my hands on. PS: It’s on sale right now on Amazon for less than 11 bucks! When I was asked if I wanted a review copy and to share about it on my blog, I said yes — of course! It was already on my wish list. I love it when things work out like that. 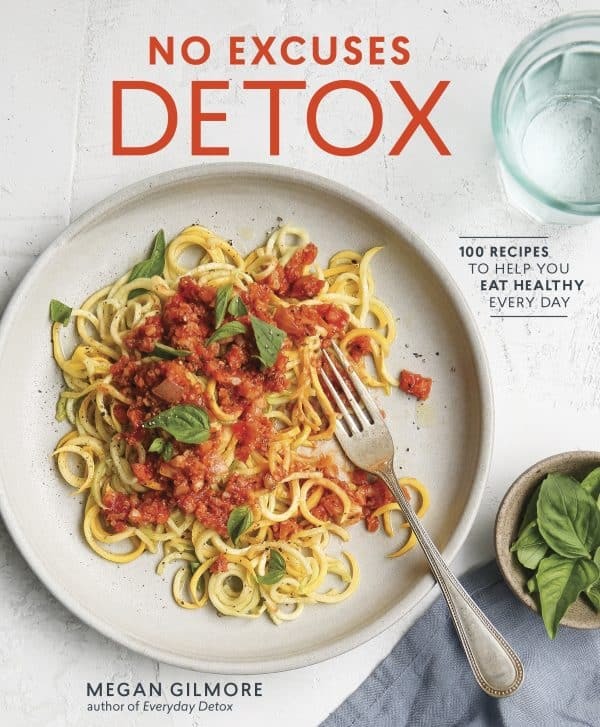 My mindset is always everything in moderation and to just “do the best you can, whenever you can.” This No Excuses Detox and her first book, Everyday Detox, embodies this philosophy well and helps make eating healthy, clean food fun and tasty. With recipes like these crackers, Crunchy Thai Salad (nut free dressing! ), Tuscan Bean soup, Speedy Black Bean Burgers, and Mushroom and Black Bean Tacos, I know it’s a cookbook that won’t stray too far from my kitchen. There are nutrition facts for all the recipes and easy categories for dairy-free, egg-free, gluten-free, nut-free, soy-free, no sugar, and vegan recipes. If you’re following a particular diet, you can quickly glance at a recipe page to determine if the recipe fits within your diet. There are also budget-friendly meal plans and tons of great tips. It’s a fantastic resource. This gluten-free cracker recipe is not only so simple to make, but they’re also pretty and so flavorful. 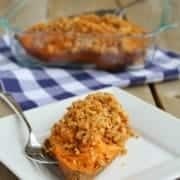 They have a great balance of sweetness from the sweet potatoes, and savory crunch from the oats and rosemary. If you don’t have oat flour on hand (I didn’t! ), you can just pulse some oats in your blender or food processor until it has a fine flour-like texture. It’s so easy! Preheat the oven to 350°F and line a large baking sheet with parchment paper. 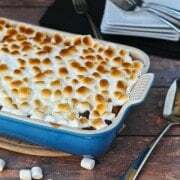 In a large mixing bowl, combine the sweet potato, flour, salt, rosemary, garlic powder, and coconut oil and stir well to create a uniform dough. Transfer the dough to the prepared baking sheet and top it with another sheet of parchment paper. Use a rolling pin to roll the dough into a thin layer, about 1 ⁄8 inch thick. The thinner you roll the dough, the crispier your crackers will get, and the faster they will cook. Gently remove the top layer of parchment paper and use a pizza cutter to cut the crackers into 1-inch squares. Bake for 15 minutes, then remove the baking sheet from the oven and use a spatula to flip each cracker for even baking (they should split apart easily where you cut them). Return the pan to the oven to bake until the crackers are dry and crisp, about 15 minutes more. Be sure to watch the crackers closely toward the end of the baking time, since the edge pieces will cook faster than the center pieces, and the crackers won’t taste as good if they turn dark brown. Remove any pieces by the edge of the pan when they are done and continue cooking the center crackers until they are all dry, checking on them every 3 to 5 minutes. Allow the crackers to cool completely for the crispiest results. Reprinted with permission from No Excuses Detox, copyright © 2017 by Megan Gilmore, published by Ten Speed Press, an imprint of Penguin Random House LLC. 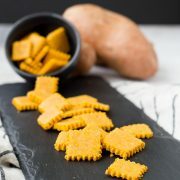 Verdict: I adored the flavor of these sweet potato crackers. Changes I would make: Mine didn’t get super crispy, next time I would roll them a bit thinner. If you’re eating them leftover, it’s best to quick crisp them up in the oven again for a few minutes. I’d like to try this recipe but can’t hsndle oat flour. How about coconut flour, or blanched almond flower? I don’t use fresh herbs, so how much dried herbs should be substituted? I haven’t tried this recipe with coconut or almond flour, I’m sorry. I don’t use almond flour because my kids have severe allergies. If you’re using dried herbs, just halve the quantity. These turned out amazing!! Crazy easy and delicious. Crunchy & fun. I added garlic powder, onion powder, rosemary and fresh cracked pepper. Also making some with onion powder, chia seed and dill. So glad you liked these! I bet they’ll be so good with dill! Thank you so much for this healthy,simple recipe. I don’t use any gums, thickeners or starches for my kids.Always looking for simple recipes made out of whole foods. I’m so glad you like this one, Ann! Thanks for taking the time to come back and leave a comment! I would like to thank you for providing a kid friendly a session of blog. It is really a matter appreciation and this is the reason I follow your blog. Let us come for recipe now. 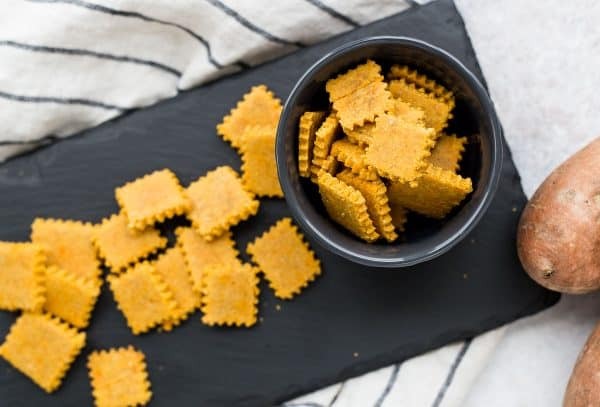 Cracker is really a cutie recipe and loved it.